It has been raining in the afternoon almost everyday recently. The nights have been cool and wet. 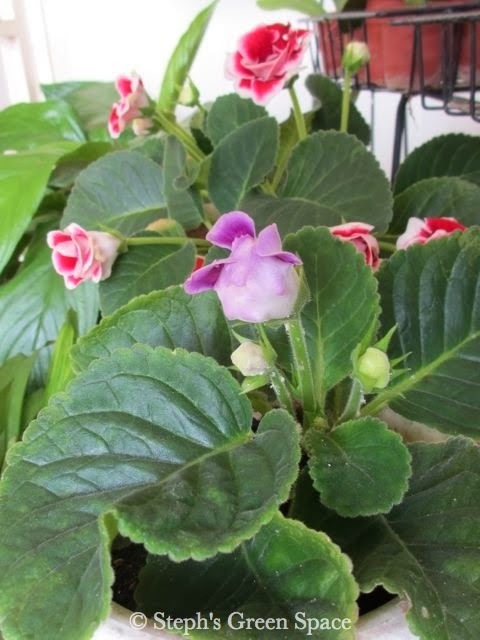 Hence, I usually skip my normal watering routine the following morning and check on my plants whenever I have the opportunity to do so. Unfortunately just when I had the chance to walk out to the garden, I found bugs attacking my plants. Not just once but on consecutive days and on different plants. Yikes!! 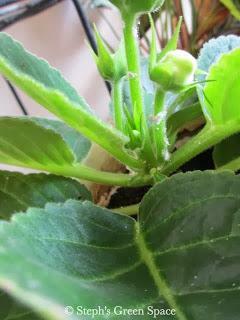 This blue flower bud of my Gloxinia below has bugs all over its stalk (see pic above) and I was trying very hard to get rid of them. I would normally just remove the affected parts of the plant to get rid of the bugs. 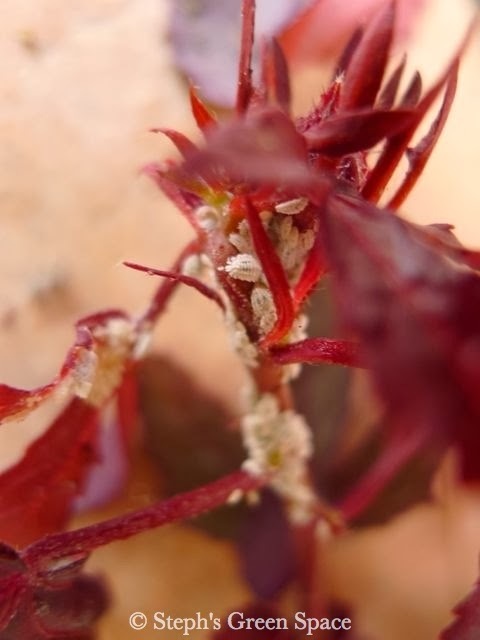 But if it is a succulent or a shrub or stalk with flowers, I would either remove by hand (squish it quickly in-between the leaves or just with my bare fingers, if not a lot), give the bugs a good hard spray with water to wash them away, cover it with soapy water or use my water-based insecticide to kill them, depending on the situation. It is interesting to know that mealybugs are sap-feeding pests and occur throughout the world. How do you get rid of them?